If you want to get a Walmart Beauty Box, you can sign up for their beauty box subscription. If you want to sign up for yourself, you can sign up HERE. Technically the box is free, you are just paying $5 for shipping per box. You get 4 boxes a year. There is one per season meaning you get one in the winter, one in the spring, one in the summer, and one in the fall. You are not charged monthly. You are only charged per season right before your next box ships. You will receive and email notification when each box ships as well. 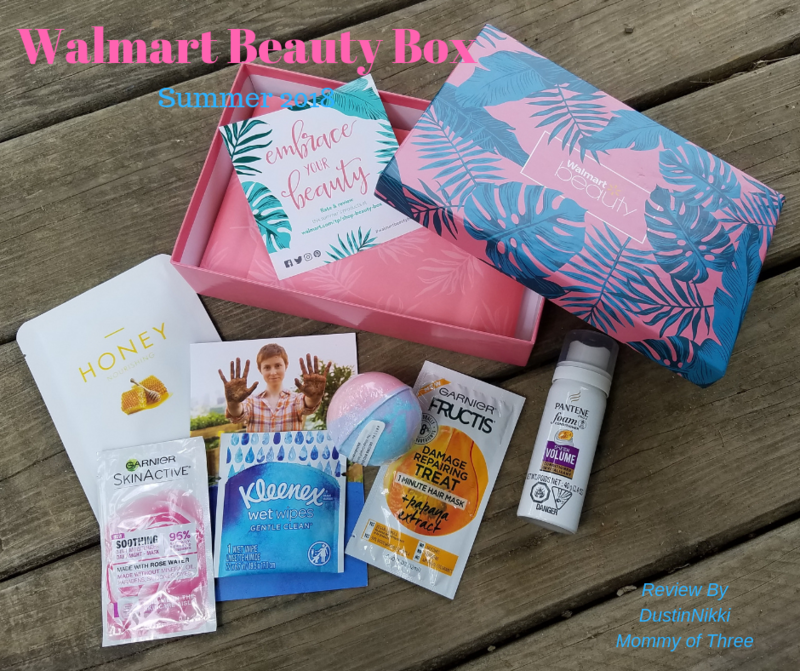 I have been getting Walmart Beauty Boxes for a few years now and I love it. 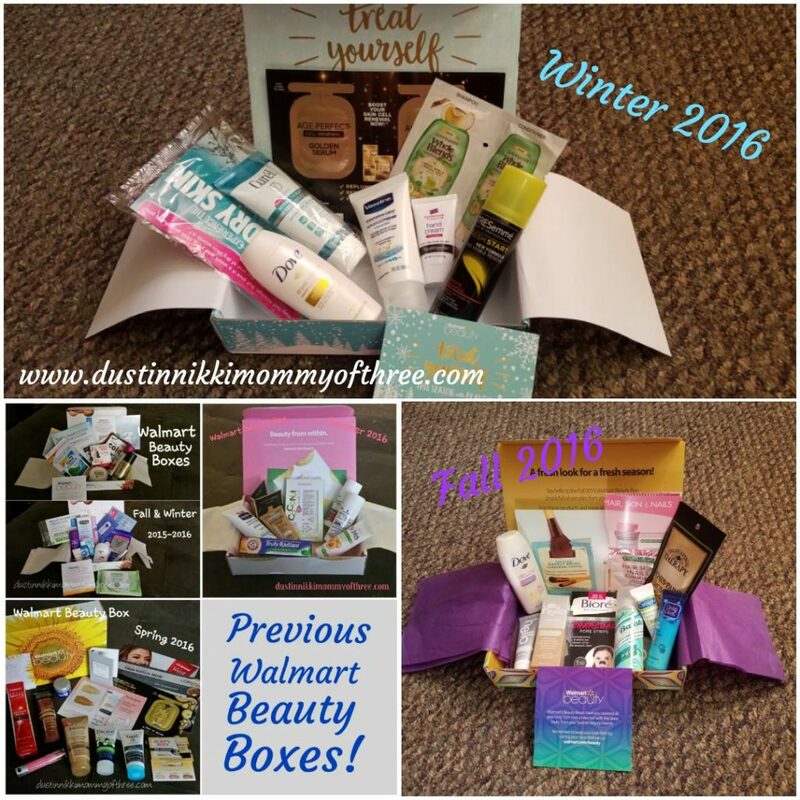 All the products that are in your beauty box can also be found and purchased at Walmart too. 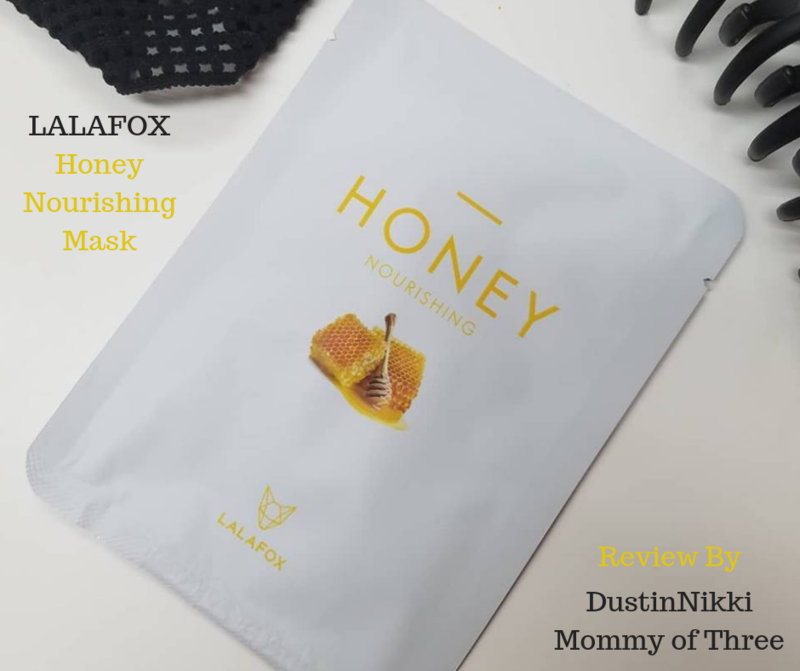 I like getting it because sometimes there are full size products and the sample sizes are generous travel size samples so there is plenty of product to use to get an idea if you like it or not. 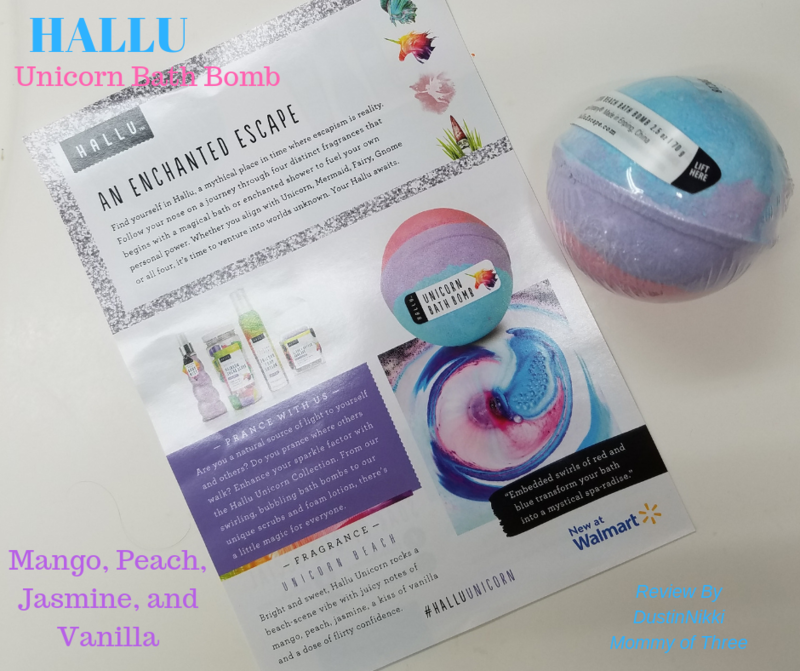 I like trying new things before I buy so this is a great way to try out some products I may or may not have used before. You can log in to your account after signing up and cancel at any time if you no longer wish to receive it. In my opinion, the $5 is worth it for the value of product you usually get. There have been a few boxes that I wasn’t too terribly thrilled with but I loved most of them. I got my notification that my Spring box had shipped a few days ago and can’t wait to see what I got! Samples may vary too so even if I see what someone else has gotten in theirs, it’s still a surprise because I’m not sure if I will receive all the same products or not. It’s been a while since I last posted my Beauty Boxes on the blog but if you want to check out my previous posts about my boxes, you can check them out HERE. Below you can see some of my previous boxes that I have received as well. I can’t wait to get my Spring box and I will be posting when I get it! Disclaimer: This is not a paid or sponsored post. I receive a Walmart Beauty Box paid for by me.